The Finns’ confidence in the forest sector began to improve about five years ago. According to the newest Metsä ja puu [Forest and timber] opinion poll, the increase continues to strengthen. The results of the Metsä ja puu opinion poll, ordered by Finnish Forest Association, echo those of the Eurobarometer published by the European Commission in October 2015. According to it, Finns consider commercial use to be the most important role of forests, in preference to environmental issues or binding atmospheric carbon, for example. It is also interesting that, according to the Eurobarometer, the Finns’ attitudes towards forestry issues differ significantly from the rest of Europe. Even in Sweden, the general attitude is largely different. According to the Metsä ja puu poll, forest management in general gains extensive support from the Finns. 88 percent of the respondents think that it is fairly good at least, while 11 percent think it is poor. The result is more or less the same as in the previous poll from 2012. Respondents who live in the capital region, are highly educated or support the Greens are more critical than others. Finns also trust in the expertise of forest professionals. They are aware that the annual growth of Finnish forests is more than the volume harvested. This may be the reason why they also think that there will be enough wood to serve as industrial raw material in the future as well. More respondents than before think that Finnish welfare will continue to be based on forests in the future as well and that forests should be used more intensively in order to increase employment and maintain the living standard. The most reliable source of information on forestry issues is considered to be forest professionals and researchers. As to forest biodiversity, the most reliable source of information is felt to be researchers, but the second most reliable source here are the environmental organisations, on a par with forest professionals. Among the environmental organisations, confidence in the Finnish Association for Nature Conservation FANC is the highest. The second most reliable environmental organisations is considered to be WWF, though confidence in it has been on the wane for some years. The share of those trusting Greenpeace most is only two percent. The poll shows more respondents than before thinking that forestry activities have become more environmentally friendly during the last ten years. On the other hand, a slightly greater share than before think that forestry activities are a threat to forest species. 61 percent of the respondents think that there are enough protected forests in Finland, while 26 percent want more protection. The share of those who feel that forest protection should be increased has grown slightly. 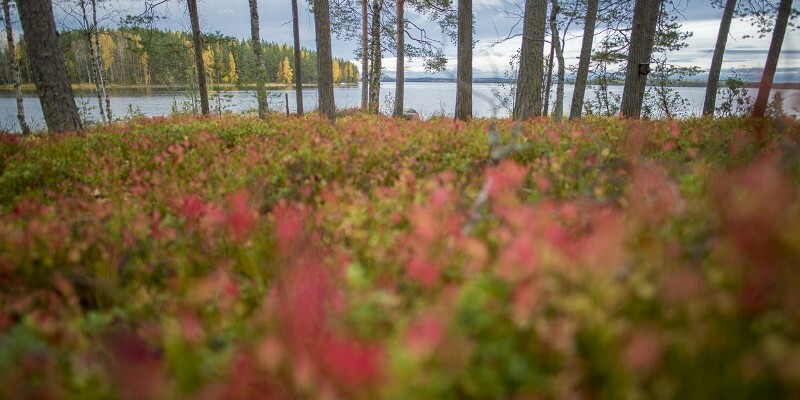 45 percent of the respondents think that there are more protected forests in Finland than in the rest of Europe, while 27 percent think that protection levels are the same. In reality, according to the COST E4 evaluation, the share of strictly protected forests in Finland is the largest in Europe. Finns think that, among several branches of industry, the forest industry is the most important basis and upholder of welfare in Finland. They also think that the branch will survive better in international competition than the three other branches compared in the poll: the IT end electronics, metal and construction industries. Three quarters of the respondents think that the use of forest chips as energy source should be increased. The perception on the biodiversity effects of using forest chips is polarized: 42 percent see it as a threat to forest biodiversity, while 48 percent do not think so. Half of the respondents think that the largest forest owner in Finland is the government, while a quarter think that the largest owner group are individual citizens and families. In actual fact, the latter is the largest forest owner group in Finland; they own clearly more than half of the Finnish forests. The Metsä ja puu opinion poll was conducted by the Taloustutkimus research company, commissioned by the Finnish Forest Association. A total of 1,012 persons were interviewed, representing Finns between the ages of 15 and 79 and living in mainland Finland (that is, the residents of Åland were excluded). 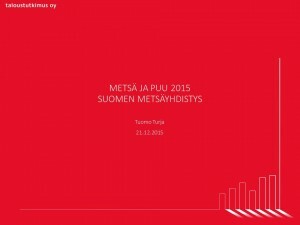 The interviews were carried out in November and December 2015 as part of the Omnibus survey by Taloustutkimus. The statistical error is 3.2 percent at most in either direction. The Metsä ja puu opinion poll was funded by the Metsämiesten Säätiö Foundation and the Finnish Forest Foundation. This message is very true. But you forgot the human aspect of diligence in ensuring sustainable forests. Please add.